Byrd, Byrd, McMahon & Denton, P.A. Since 1950, our North Carolina personal injury attorneys have devoted their skills to standing up for the rights of injured persons against powerful insurance companies and corporations. We are committed to serving the individual needs of each client while continuing to follow the traditional values of hard work and preparation that have been the foundation of our success for over 50 years. For more than 50 years, our firm has fought for the rights of persons injured by negligent acts including: automobile collisions, truck wrecks, tractor-trailer collisions, and unsafe business premises. Our Approach Our goal is to obtain full and fair compensation for our clients either by settlement or at trial. A full and fair settlement can only be obtained if the insurance company is persuaded that the injured person is ready, willing, and able to aggressively and competently present their evidence to a jury. With over 50 years experience and proven ability in the trial of these cases, our firm has established a reputation which helps to assure that our clients' claims will be evaluated with the knowledge that we will be willing and able to present their claim in court. It is our policy to treat each case from the beginning as if it is definitely going to trial in order to be prepared to negotiate from a position of strength and to go to trial if negotiations fail. Why You Should Consult an Attorney Liability insurance companies are obligated to protect the person who caused the injuries and have no duty to act in your best interest. Thus, the person causing injury is well represented by their insurance company (with all of its vast resources, professional trained adjusters, and experienced attorneys) putting you at a tremendous disadvantage without the assistance of an experienced attorney. Also, the law of North Carolina allows compensation for numerous types of damages caused by injury or death but it provides no fixed formula for calculating the amount of compensation due. What is fair will vary greatly from case to case depending upon the circumstances and the evidence presented. Attorneys' Fee Our attorneys provide consultation at no cost. If we do accept your case, we will do so on a contingent fee basis - which means you will pay no legal fees unless we successfully resolve your case. 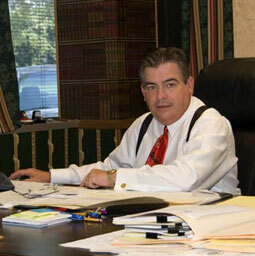 Practice Areas: Personal Injury and Wrongful Death Claims. Admitted: 1978 North Carolina; 1981, U.S. Court of Appeals, Fourth Circuit; 1981, U.S. District Court for the Western District of North Carolina. Law School: University of North Carolina, J.D. with honors, 1978. College: University of North Carolina, B.A., 1975; Morehead Scholar. Member: Association of Trial Lawyers of America; NC Academy of Trial Lawyers - Board of Governors 1990-1998. Biography: Designated a North Carolina Super Lawyer in a list published in the February 2006 issues of Charlotte magazine and North Carolina Super Lawyers magazine by Law and Politics. Coordinating Editor, October 2002 edition of "Trial Briefs," statewide legal journal published by the NCATL; Jan. 2001 Co-Chair, NCATL Seminar "Nuts & Bolts of Dollars & Cents"; Program Chair, NCATL Seminar Jan.2002: "Disbursement of Tort Recoveries"; Author: "The Expert Witness and Discovery," NCATL Expert Witness Seminar, 1991; "Service of Process: Pre-Trial Procedure," NCATL Pre-Trial Procedure Seminar, 1989; "Motor Vehicle Law: Using Jury Instructions," NCATL Motor Vehicle Law Seminar, 1989; "Insurance Law: Dram Shop Liability," NCATL Insurance Law Seminar,1988. Born: Morganton, North Carolina, February 26, 1953. 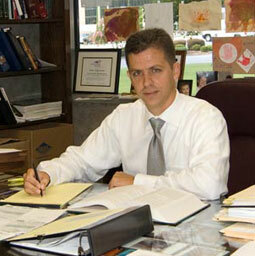 Practice Areas: Personal Injury, Wrongful Death & Criminal Law. Law School: Campbell University, J.D. 2003. College: University of North Carolina, B.A. 1996; Duke University, M.A., 2000. Member: North Carolina Academy of Trial Lawyers; North Carolina Bar Association; American Bar Association. Biography: North Carolina Academy of Trial Lawyers M.J. Calhoun Trial Advocacy Award, 2003; Assistant Editor 2002-2003 Editions of North Carolina Appellate Advocacy; Assistant Editor 2002-2003 Editions of North Carolina Law of Damages. Born: Morganton, North Carolina, October 9, 1974.